History of the Sabbatian Movement. Lectures given at the Hebrew University of Jerusalem 1939-1940 by Gershom Scholem. History of the Sabbatian Movement was the first attempt by one of the giants of scholarship on Jewish mysticism, Gershom Scholem (1897-1982) to present a comprehensive picture of Sabbatianism as a single narrative. 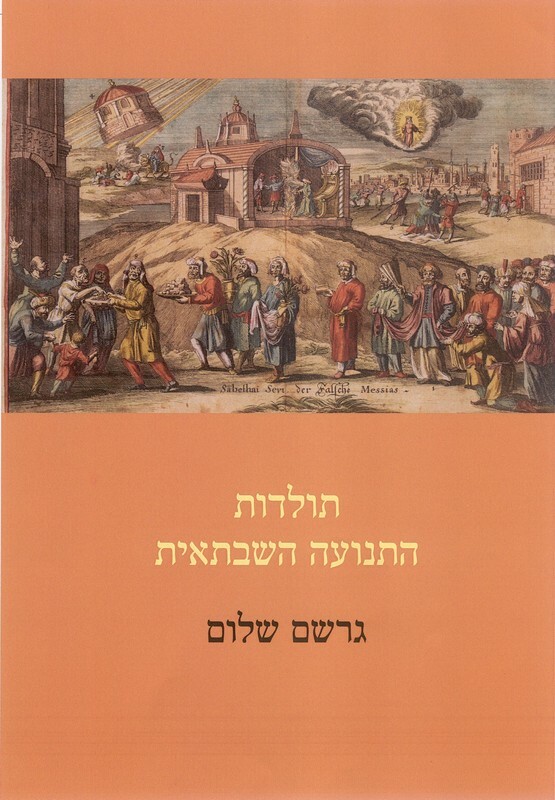 The book is based on the series of lectures given at the Hebrew University during 1939-40, which are of special importance in that they laid the foundation for all of Scholemws research in the years to come, including his extensive monograph Sabbatai Sevi: the mystical Messiah, 1626-1676, first published in 1957. What follows as a sketch of the massive History of the Sabbatian Movement, over which Gershom Scholem toiled his whole life but never completed. The lectures are presented here for the first time based on the original manuscripts, alongside the text of an additional series of lectures that Scholem gave as part of the "Month of Study" organized by Berel Katzenelson in 1941. These long-hidden texts reveal new facets of the Sabbatian movement and its history, as well as of Gershom Scholem as a historian, and serve as prologue to any further study of this most stormy and complicated episode in Jewish history. The new edition includes a comprehensive introduction by the editors on all of Gershom Scholem's studies on Sabbatianism. The editors are Professor Jonatan Meir and Dr. Shinichi Yamamoto. Professor Meir serves as a faculty member in the Goldstein-Goren Department of Jewish Thought at Ben-Gurion University of the Negev, and is the author of several studies on various forms of Jewish Mysticism, the literature of the Haskalah and the Kabbalah in the twentieth century, among them Imagined Hasidism: The Anti-Hasidic Writings of Joseph Perl (Jerusalem 2013) and Kabbalistic Circles in Jerusalem (1896-1948) (Jerusalem 2011, Leiden and Boston 2016). Dr. Shinichi Yamamoto is a scholar of Kabbalah and Sabbatianism at the University of Tokyo; he has recently published Kabbalah: Historical and Conceptual Perspectives (Tokyo 2015).